I like to show this photo at my school visits. Because kids don't always think of all of the hard work that goes into the writing of the book. They see the finished product and go - wow, cool! That looks like fun!! You can hold a beautiful, finished book and do jazz hands at the same time, yay! But those books didn't just magically appear out of nowhere. I mean, kind of, because they suddenly land on my front porch in a box from my publisher when all I sent them was a manuscript. But you know what I mean. Writing is often like any other kind of work. Sure, some days I'm excited to get to it and see what my characters want to tell me, but just as often, I don't feel like doing it. I might be worried I have no plot or the one I do have is completely unbelievable. I may worry that my characters are too one-dimensional. Is my dialogue realistic? Is the pacing too slow or too fast? I could go on and on here, but I'll stop because our job is to quiet the doubt and writing regardless. Trying to get everything right is really, really hard. And during a first draft, pretty much impossible. And many days, simply getting any words down at all is not easy. But I've said it before and I'll say it again - in the end, it comes down to perseverance. Day after day I make myself hit my word count goal whether I feel like it or not because that is how the book gets written. Here are some things that help, if you're struggling lately. Download the self-control app and block yourself from social media sites that you know to be your biggest distractions. Try listening to soft, soothing music. Have a cue that says - it's now time to write. It might be sitting down with your favorite hot beverage. It might be turning on that soft, soothing music. It might be yelling into the universe, "I'm going to write 1,000 words now and nothing is going to stop me!" Set a time and write for 30 minutes and then reward yourself for the work, with a sticker or a quarter in a jar, or something. Anything! Sometimes I don't feel like going to the gym, but I know I will be glad once I've gone. The same is true of writing. As the word count inches upward, so does my pride. I'm doing it, I'll think to myself. I'm writing this book. The key is to write and write and write, on the good days and the not-so-good days, until the very end. And then, of course, you get to start over and revise all of those beautiful words. But we'll worry about that another day. 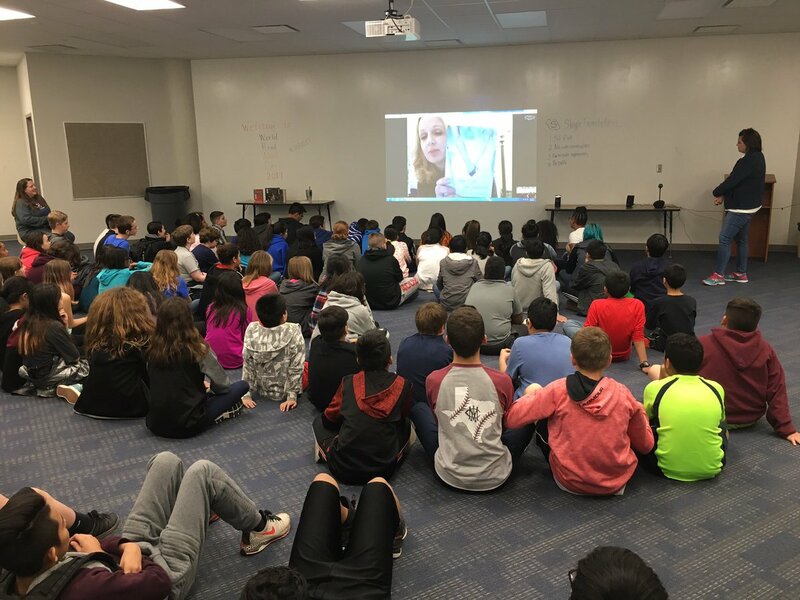 I should go back and count and figure out how many years I've been volunteering to Skype with classes on World Read Aloud Day. At least five years, probably more than that. Today was another wonderful morning talking to students all across America. One girl asked me who my favorite character is out of all my books. I told her it's really hard to choose because my characters become kind of like my children - I love them all! But, I said, Nora in My Secret Guide to Paris is a lot like me because she really wants to go to Paris and you know, I've never been there. When I wrote the book, I did a lot of research and used Google Earth to explore the city. But guess what - in May my dream is finally going to come true because I'm going to Paris! When I told them that, the kids spontaneously cheered for me, and it was just the happiest thing I've seen in a while. I wish I could take them all with me. But since I can't, the good news is they can read the book and visit Paris that way, just like I did when I was writing it. 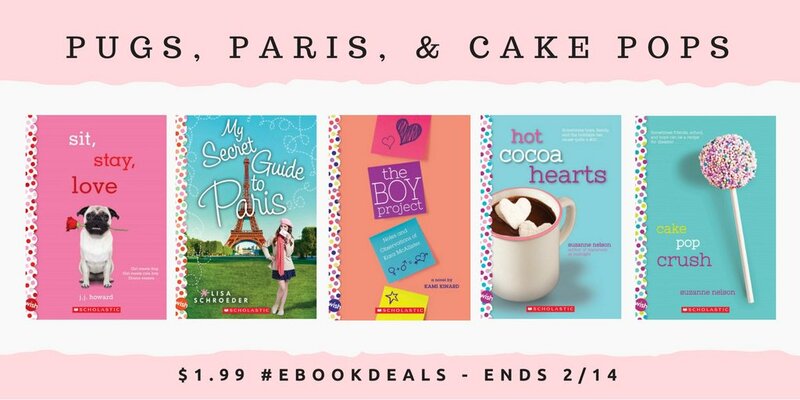 Check your favorite online retailers and take advantage through Valentine's Day!